Waking up in a strange version of her home city, Greater Aelfort, Kisha Everett finds herself looking into a thick fog. Upon entering this fog, Kisha is whisked away to view a memory of an event past. Here, she watches herself accepting help to find her daughter for the second time from one mystery lady in yellow. Before long, Kisha learns that the space she's found in is inexplicably connected to time itself and has the potential to even change the moments it's connected to. Kisha is ecstatic, but nervous. In order to give this city the power it needs to help her daughter, Kisha will have to overcome herself and experience her own painful past all over again. 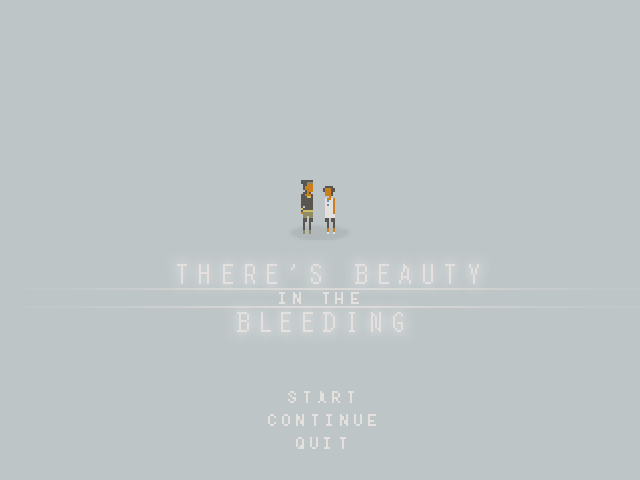 Featuring a simple, friendly battle system, There's Beauty in the Bleeding is a game about motherhood and the struggles being unapologetically individual can present. And, of course, the valuable and earnest relationships that it can foster. Be prepared for magic, daily life, and a tale with an abundance of highs and lows.